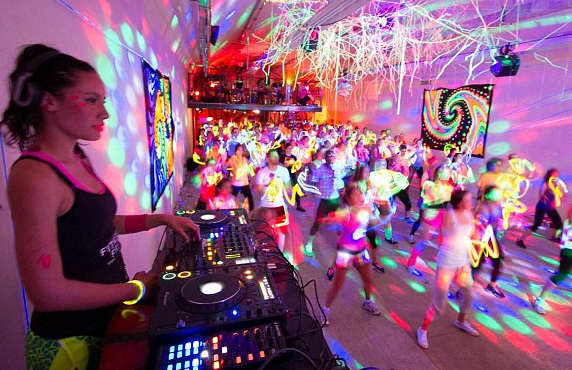 Rave yourself into shape at the new clubnight aerobics class in London. 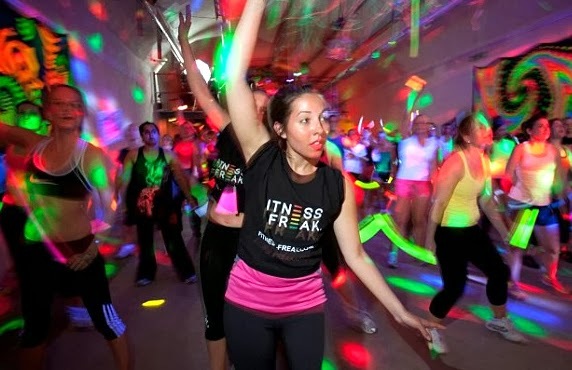 This place is called Fitness Freak, and it offers an intensely choreographed aerobic session with a live DJ spinning 90s rave hits. All you need to do is turn up in your finest neon gym gear clutching a handful of glow sticks. 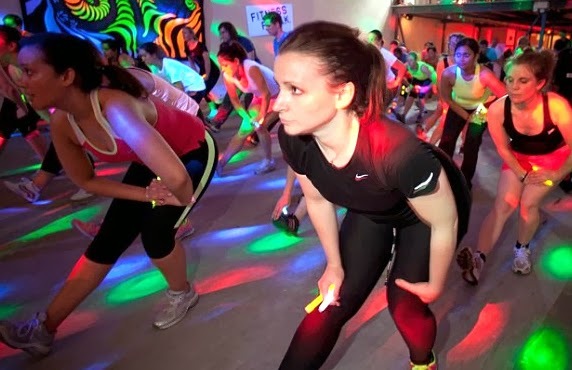 The aerobics class combines cardio, conditioning, toning and stretching to a thumping soundtrack, all set against a backdrop of fluorescent multi-coloured disco lights. Clubbers tend to burn between 500 and 600 calories per hour dancing non-stop - the same number you would during a high-impact aerobics class. If you want more information,visit their website here.